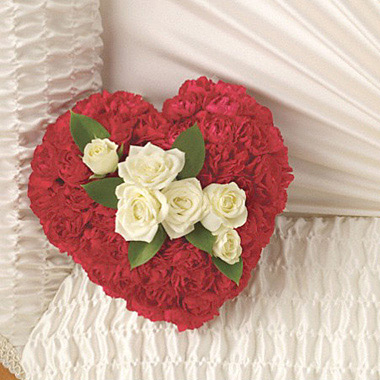 Express the love of children, grandchildren, or other family members, with this sweet heart-shaped casket accent featuring miniature white roses on a bed of red carnations. Appropriate for the family. Approximately 6 to 8 inches in width.